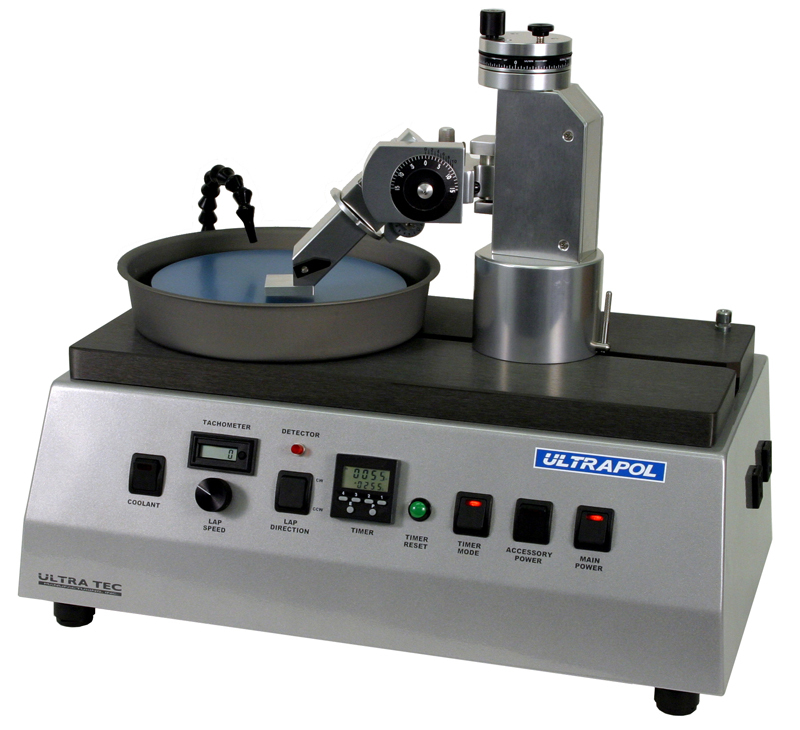 ULTRAPOL End & Edge Polisher has been designed to provide accurate lapping and polishing for research and industrial applcations. Several thousand of these units are already assisting users in a wide range of technical disciplines. 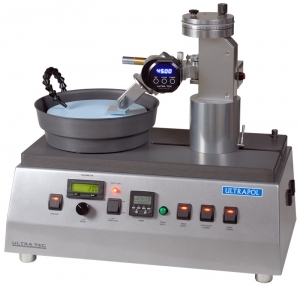 Key to the high quality performance of the unit is the calibration of the polishing base and the advanced angular control provided by the polishing head. 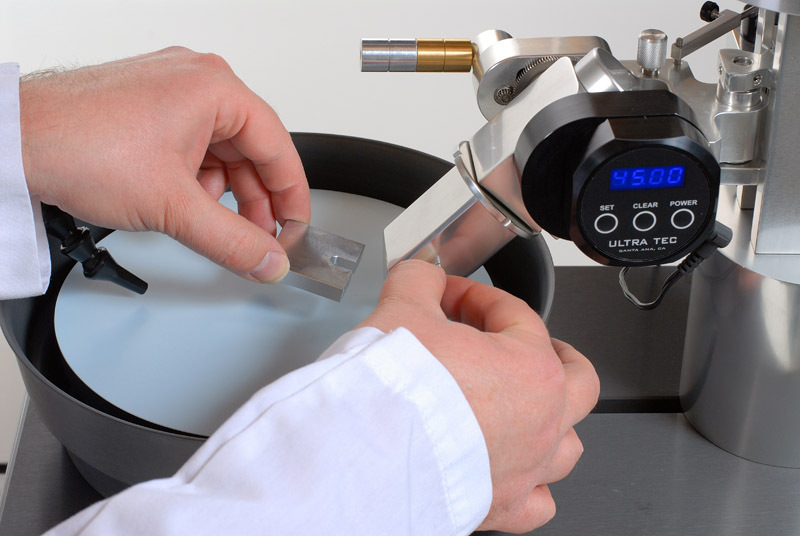 Units with wither Digital or Analog Polishing Angle Read-outs are available. 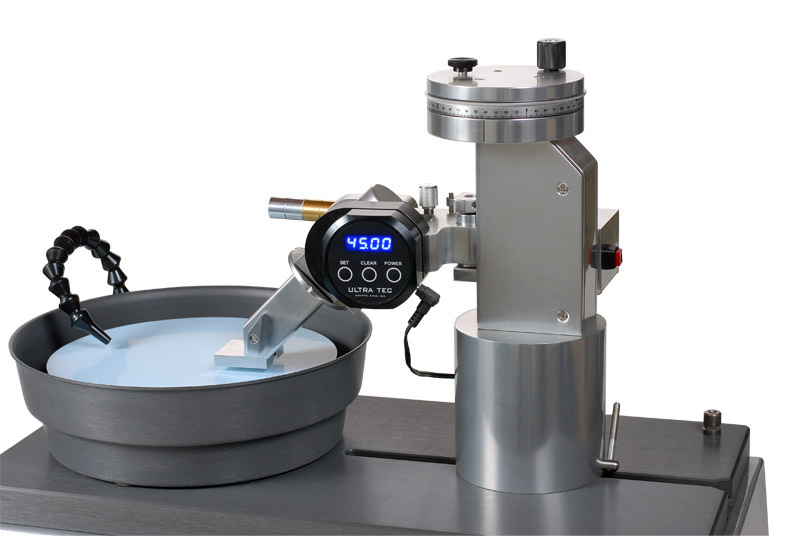 Built-in features such as tachometer, process end-indicator, timer, and head oscillation provide assurance the finest surface production. The unit also features a solenoid controlled coolant system. 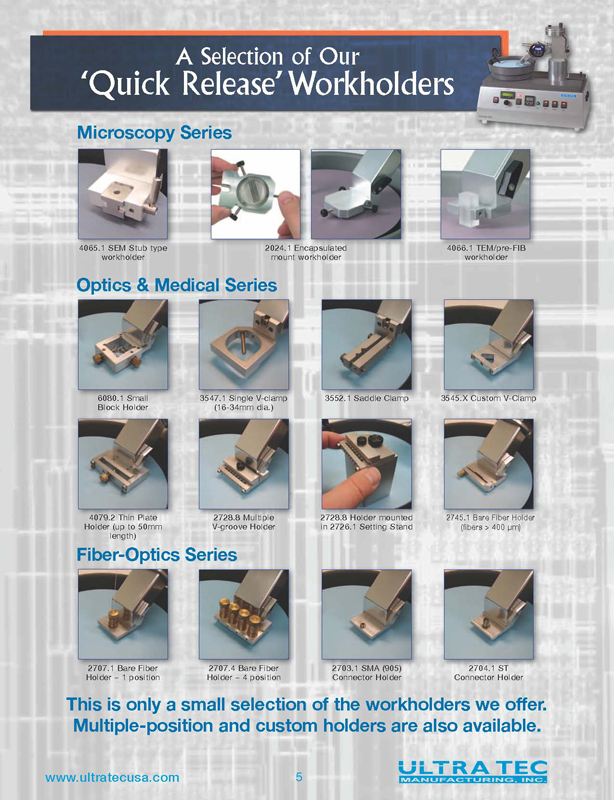 Custom workholders can also be designed to your specific needs. ULTRAPOL End & Edge Polisher uses 8 inch diameter diamond lapping films which are easily changed. Quick Release Interface allow for fast and repeatable mounting and demounting.